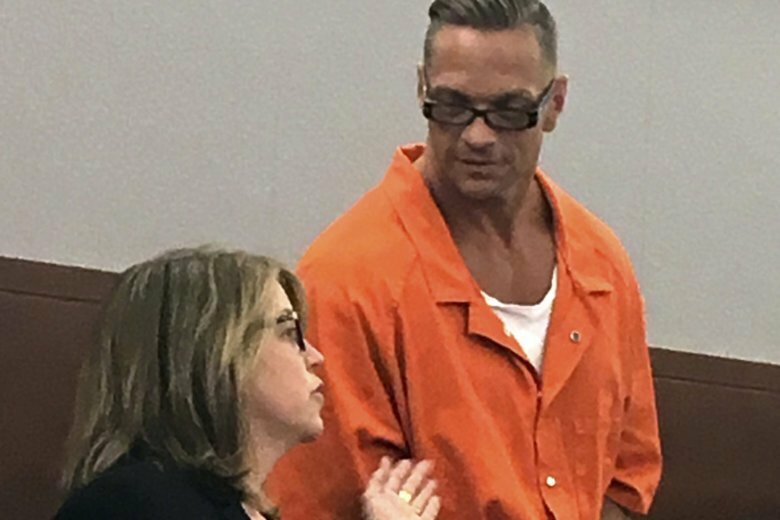 LAS VEGAS (AP) — Nevada’s prisons chief testified Tuesday that after more than 200 drug companies refused to supply drugs for use in an execution, a supplier’s mistake on a buyers’ list gave the state an opening to obtain a sedative that officials want to use in a twice-postponed lethal injection. Under questioning by drug company lawyers, Department of Corrections Director James Dzurenda said the top state pharmacy official jumped at the chance last May, and once Nevada had to the drugs Dzurenda felt no obligation to return them. “If I didn’t have any contract with them and did it legally, I would keep it,” Dzurenda told Todd Bice, a lawyer representing Alvogen, maker of the sedative slated to be the first of three drugs in the execution of twice-convicted killer Scott Raymond Dozier. State attorneys say the drugs came from a third-party supplier, Cardinal Health, and not the drug companies. “Is that your definition of dealing with the public in good faith?” Bice asked after citing passages from Dzurenda’s department’s rules of ethics. “I believe so, yes,” Dzurenda replied. The day of testimony provided a glimpse at the trouble Nevada and many of the other 30 death-penalty states in the U.S. have had identifying, obtaining and keeping drugs for executions. Nevada requires lethal injection and last put an inmate to death in 2006. Drug companies Alvogen, Hikma Pharmaceuticals USA and Sandoz Inc. accuse the state of improperly obtaining their drugs for a use the companies don’t allow, and deceiving the public in the process. Dzurenda refused to identify state officials involved in execution planning by name or title, saying it was to avoid exposing them to harassment or threats by opponents of capital punishment. He said he keeps confidential the names of prison employees who he said volunteer for the overtime job of taking part in an execution. Nevada also tried to keep secret the drug company identities, although a court order in a last-minute American Civil Liberties Union lawsuit in July forced disclosure of the three company names. Dzurenda told the Clark County District Court Judge Elizabeth Gonzalez that the powerful synthetic opioid fentanyl, which has been blamed for illegal use overdose deaths nationwide, was added to Nevada’s three-drug lethal injection plan after the state pharmacy chief found a way to get the drug. Later, the state’s top doctor testified that although he’s not licensed to practice medicine in the U.S. and doesn’t prescribe or use painkillers or anesthetics, it seemed to him that the high doses of the sedative, the fentanyl and a muscle paralyzing drug that Dzurenda told him would be used would kill Dozier. In Nevada, the prisons chief and top doctor are the only two officials who can sign off on the execution plan. “He consulted with me if the proposed medication was appropriate and effective and I said yes,” Ihsan Azzam told the judge. Azzam even commented, “Yeah, it will kill a mammoth,” he told David McElhinney, an attorney representing Hikma. Azzam meets qualifications to be chief state medical officer under Nevada law. He has a master’s degree and worked for several years in environmental public health and epidemiology before being named chief state medical officer last May. He is originally from Syria, became a doctor in Romania and practiced for several years as an obstetrics and gynecology physician in Africa before moving to the United States in the 1990s. Two more days of hearings are slated Wednesday and Thursday ahead of oral arguments next week before the state Supreme Court on the state’s bid to put Dozier’s execution back on track for mid-November. Fifteen states are siding with Nevada in the state Supreme Court fight against the drug companies, led by Oklahoma and including Nebraska, where an inmate was put to death last month.